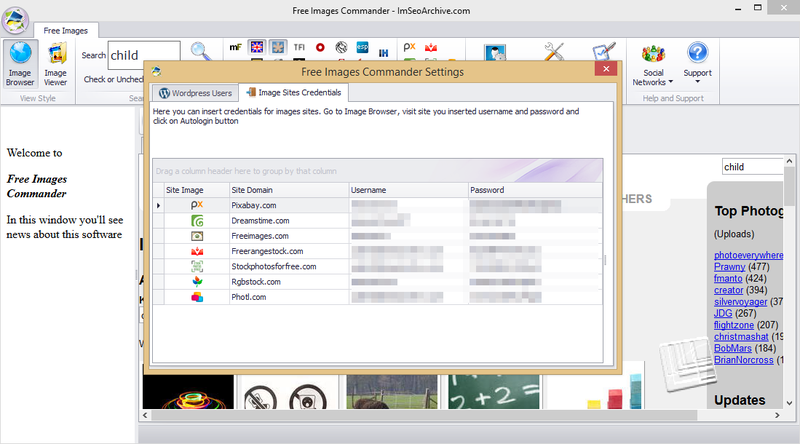 For downloading images on sites with login, there are necessary usernames and passwords. Register on these sites and insert credentials clicking on “Settings” button, click on “Image sites credentials” tab and insert your credentials (see image below). In this way you can use Autologin feature. 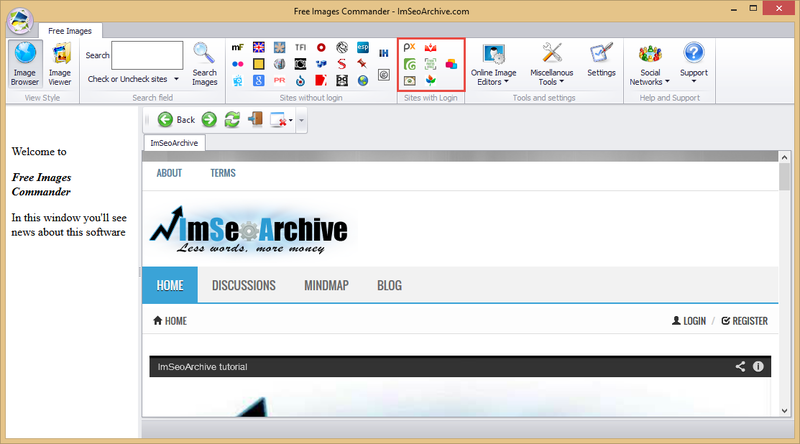 For searching on site with login the steps are the same on search without login, the only difference is to select sites within red square in image below. If you are not logged in a site click on “Autologin” button (see in image below) when the tab is opened, Free Images Commander will insert credentials previously you inserted in “Settings”.